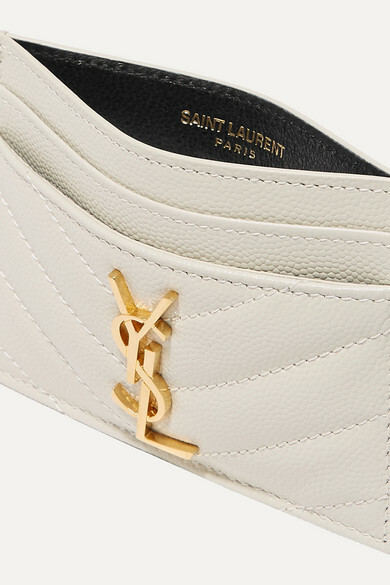 Decorated with an iconic gold 'YSL' plaque, Saint Laurent's quilted cardholder will instantly showcase your brand allegiance every time you take it out in coffee shops, restaurants and boutiques. 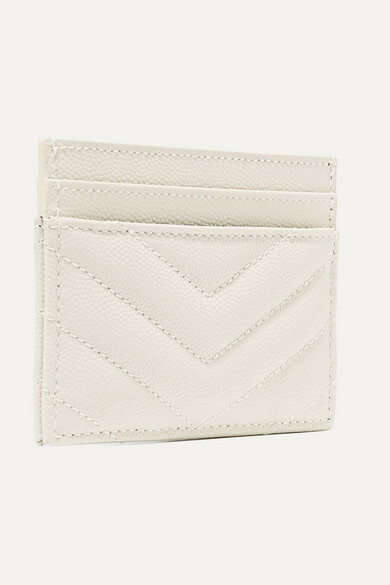 It's been made in Italy from resilient textured-leather and is equipped with two card slots on each side. The central compartment is handy for receipts or folded bills.